You're going to pregame for the Nebraska game anyway - you might as well do it with Eleven Warriors for a good cause. 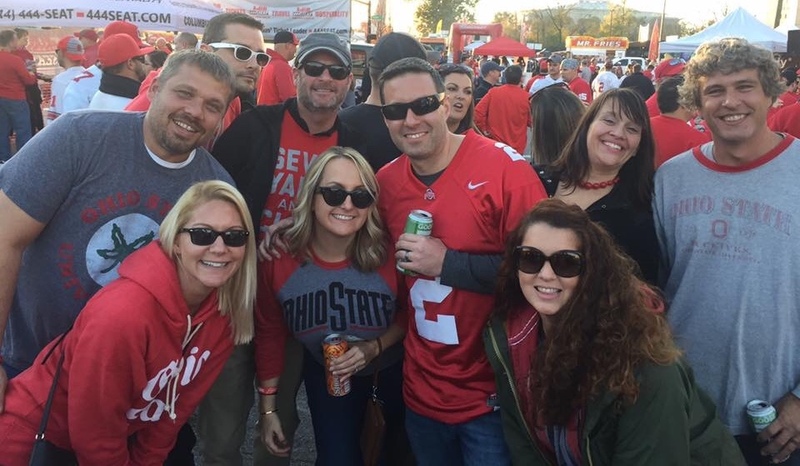 The Eleven Dubgate returns to bring together a perfect College Football Saturday in Columbus with the vibrant 11W community. If you're unfamiliar with its history, you can learn more about it here. SAT, NOV 3 2018 | 9 a.m. This year's edition – our 8th – takes place Saturday 11/3 beginning at 9 a.m. ahead of Ohio State's game with Nebraska. And it's going to be right behind the Varsity Club on Tuttle Park Place and Norwich Ave. You can't miss it. 100% of proceeds from the Eleven Dubgate will go to DownSyndrome Achieves, a research advocacy group that works to maximize the health and potential of every individual with Down syndrome by championing the development of critical research capabilities needed to better understand Down Syndrome and to accelerate breakthrough discoveries. This event has raised thousands and helps fund the nation’s first centralized and dedicated biobank for Down Syndrome research. You will receive drink tickets on-site. You can also securely donate directly to DSA online prior to Nov 3, put "Eleven Dubgate 8" in the comment field, print out your confirmation page and bring it with you to get the same perks. Cash and major credit cards accepted. The tailgate will be held behind the Varsity Club on the corner of Tuttle Park Place and Norwich Ave.
What time does the Eleven Dubgate 8 begin? The Dubgate will start at 9 a.m. with kickoff time against Nebraska set for noon. How do I find the Eleven Dubgate 8? Stand in front of the Varsity Club. You're on Lane and Tuttle Park Place. If you walk alongside the VC until you hit Norwich, you'll see the Dubgate on your left. Yes, DSA is a 501(c)(3) charity. What if it gets too crowded? We will work with our event security to make sure the Eleven Dubgate is safe and enjoyable. We will also work with our sponsors to do our very best to keep the food and beverages flowing for the duration of the tailgate. What's the drink situation? Food? Our generous sponsors Land Grant Brewing, Yuengling, Jack Daniels country cocktails, Pepsi, Dirty Frank's Hot Dogs and Buffalo Wild Wings will be on site and providing their fine products. Oxford Realty is also a Dubgate sponsor; we'll be borrowing their property for the morning/afternoon. This list may evolve, so stay tuned. Are the rumors of an 11W-Dirty Frank's Hot Dog Tournament true? Yes. You can vote on which tube steaks get the privilege of appearing at Dubgate 8. The selection committee has released the bracket and voting is open. 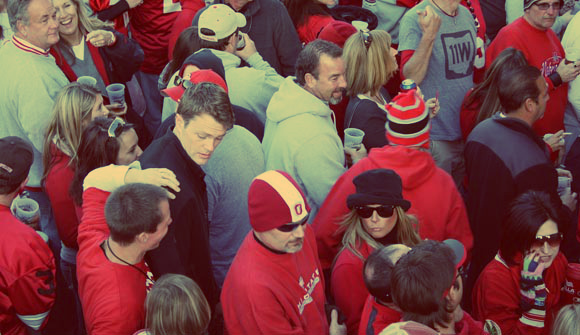 Do 11W events really help Ohio State win football games? Will my favorite 11W writer be there? Only if you are. You want that on your conscience? Better show up.